A ballot of UNISON conference delegates and visitors showed that 87% thought the union should stop funding the Labour Party. 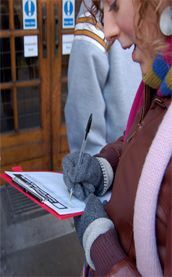 The poll, conducted by Campaign for a New Workers� Party supporters at the conference, attracted nearly 200 voters - a 10% sample of delegates and visitors. 158 voted to stop funding the Labour Party, 23 voted to continue funding and there was one spoilt ballot paper.